“Going Viral” became a marketing buzz phrase in the 1990s and describes a piece of marketing content that generates a mythical resonance with an audience and spreads uncontrollably. For example, Hotmail had the idea to add “P.S. I Love You” at the end of every email users sent. The result: Big success and signing up 12 million users in just 18 months. But how do you keep such momentum going? What business results and revenue growth does this kind of phenomenon drive? In this episode, Brittany Thompson, social marketing and media manager at Virtual Resort Manager (VRM), talks about going viral for clients and how that shapes VRM’s marketing approach. Brittany knows how it feels – shocking, unbelievable, amazing, and exhilarating – to go from a few thousand to millions of fans and followers just overnight! Jordan: Going viral became a marketing buzzword sometime in the ‘90s. The idea of course is that a piece of marketing content will find some mythical resonance with its audience, and it’s a way to describe something that spreads uncontrollably and far beyond what the creators could have one themselves, like a virus. One of the earliest examples came in the mid ‘90s, Hotmail, they had this cheeky little idea to add the phrase, “P.S. I love you, get your free email at hotmail.com” to the bottom of every email sent out by one of its users. Now with just a few words and a hyperlink, they signed up 12 million users in 18 months. They grew faster than any other company of their kind had in history, and at their peak they were signing up 270,000 users per day. But what goes on behind the scenes leading up to such a big success like this? And how do you keep that momentum going? And most importantly, what kind of business results or revenue growth does this phenomenon drive? Today, my guest is Brittany Thompson. Brittany is the Social Marketing and Media Manager at a company called Virtual Resort Manager. She’s built an incredible team and has really become a force in their niche. They also went viral for one of their clients, and while that’s exciting and we’re going to talk about it, the real story is how they got there and how the experience shaped their marketing approach. My name is Jordan and I’m glad to have you listening. Now here is my conversation with Brittany. Brittany, thank you so much for being on the show today. Brittany: Yeah, Jordan. Thank you for having me. I’m really excited to be here. Jordan: Yeah. This is such a cool conversation. I’ve really been looking forward to it. But can you kick us off by telling us more about your role and what you do. What does your marketing life look like? Brittany: Absolutely. I am a vacation rental management marketing professional. Basically, my company that I work for, we’re a small software company, kind of a mom and pop shop in North Carolina. We’ve been around for about 18 years now. I came on about nine years ago at my company, Virtual Resort Manager, and started the marketing department with one of my fellow marketing gurus, who is not with me today. She and I launched the cold program together and started working in the marketing field. I had no knowledge, I had no training, nothing. I was just data entry, and grew into this, “Surprise! You’re a marketer!” kind of field. 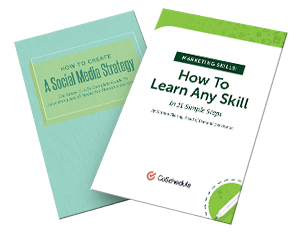 I still feel a little bit funny saying, “Yes, I’m a marketing specialist.” Because I didn’t have any training when I started. 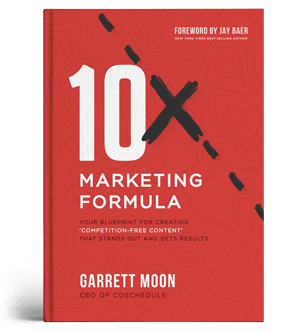 I think that’s the takeaway for anybody who’s trying to learn how to do marketing is you have to niche yourself down into a specific industry so that you will really learn that industry really well. If you pick something, be the best at it. Don’t just be mediocre at it. Really be the best. Learn everything you can, read everything you can. That’s so important towards this job and making you successful. Jordan: What’s the process of building your team looked like? Brittany: I’ve always been a huge proponent of working in a team. You can’t do everything perfectly, you can’t do everything 100% and why would you want to try? Why are you going to spend time in your life, your limited amount of time that you have in this lifetime, why are you going to spend that working on all of your weaknesses rather than finding the people that are complementary to your weaknesses and those are their strengths and actually just working on strengthening the things that you’re strong at already. It doesn’t make sense for you to try and retrospectively make yourself something different than what you need to be. You need to focus on what you’re good at and allow other people to be good at what they’re good at. Our clients noticed the difference because we have monthly strategy calls with our clients and reporting sessions. When we get on those calls and I would say, “Here’s Tracy, she’s going to talk about your email marketing.” All of a sudden, the value for what they were getting from us went up because they realized that, “Hey, I not only have the manager of the department but I have every single person underneath of her that she’s working with. They’re actually on this phone call too and I’m actually able to talk to them directly about what they’re working on.” It totally changed our client relationships as well. Jordan: Let’s talk a little bit now about some results that your team has been able to accomplish for your clients since you’ve made these big changes. Have you had any stand out successes that you can tell us about? Brittany: We’ve had multiple stand out successes. One of the most notable, if anybody has read the article, then you guys are already put out, but one of our most notable successes as a team was we actually had a post go viral with over 16 million views on it. It blew me away. It was amazing, our graphic artist had her hands on it, out social content writer, she wrote the post, I had actually chosen, it was a quote graphic, and it said, “Some girls are just born with the beach in their soul.” We actually put that out and it was beautiful. Our graphic designer did a great job with it. I had chosen the content based on what I was seeing popular around with some of our competitors for that client. We put it out. It really was a team effort and our team really did accomplish that. Honestly, when I looked at Facebook that day, this is a real moment right here I cried. I was like, “Oh my gosh! I can’t believe it! My first viral post, I’m so excited!” It was amazing. We’ve had multiple posts not go quite that viral but up in that 200,000, 300,000 post range. It’s been amazing to see how we used the automatic scheduling features through CoSchedule which are my favorite thing in the world. I no longer have to manually go figure out what’s the best the best time for each of these posts to go out every day. Jordan: Listen, if a robot can do the job, get that robot to do that job! Brittany: Exactly. For us, there have been so many wins since we started using CoSchedule. People are probably listening to this going like, “Oh my gosh. She’s a super fan.” And I have to say, I really am. Because honestly, it changed our marketing department forever. We were able to on-board more than double the amount of clients when we started using CoSchedule because all of a sudden our bandwidth for being able to take on more clients went and almost doubled. This year we were actually grossing more than we ever have in any other year in our company because of the marketing department. It totally changed the landscape of not just our department but our company. Our company is actually making progress. We’re onboarding more software clients than we ever onboarded before in the past because we actually have things in place to market ourselves and not just our clients. We spend a lot of time on client work but our personal marketing for our company was falling to the waist side really badly, and now we’ve been able to organize that and get weekly emails and blogging, and things like that out which has been phenomenal, that’s a huge change for us. That just happened this past year. Jordan: Okay, that’s a podcast high five moment right there. Congratulations on that. I’m really fascinated to know, because you see these things that go viral, you see these big numbers, and it’s really impressive and mind boggling for a lot of people who haven’t had something get that much traction. I wonder, behind the scenes, what did the business results impact look like for that client? Brittany: Basically, they overnight went from hanging out around 10,000-12,000 fans to up over 50,000 fans, literally overnight. Brittany: Honestly, when I say I was shocked when I looked at their Facebook page the next day, I was shocked, I could not believe it. Jordan: That’s a lot of red bubbles right there. Brittany: Yeah. I thought something was wrong, to be totally honest. I was like, “Oh shoot, this is going to be a really long day.” And then I realized what was going on, I was like, “Oh my gosh, what in the world?” I got other people to look at it to make sure that my eyes were not deceiving me, and they weren’t. I was amazing. For that specific client, their exposure went up. Within Google Analytics, they track how many conversions they get obviously from social media, that went way up. You’re selling thousands of dollars worth of vacation rentals online, it’s not like you’re getting 25 or 30 conversions a month. That’s a really hard number to hit. We were struggling to even make 1 or 2 with for this client per month, and we’ve gone up to probably around 10 or 12 per month, which is our highest for any other client. I think the other thing that it did just for me, personally, was it made me realize that this is attainable. I can do this. The reason why it’s attainable is because I know their audience so well. I know exactly what works for their audience, I know exactly what their audience is looking for now. It really made me actually look at what I’ve been doing, and I was like now I can see, now I can understand why this didn’t work. I think that that’s the thing, it’s an ever moving target with your audience so you have to make sure that you know who you’re talking to. And when you develop your brand, when you develop your language, when you develop your own voice and imagery style and your really run with that, who you’re talking to is going to make a really big difference in that. If you’re talking to your audience and they’re not responding, you’re probably yelling at an empty room and you should probably go to the room where they actually are. That was the thing, for me, it was a big learning experience to be able to be like, “Oh, this is actually working so I’m going to go with this thing that’s working now because I know this is working.” And then it affected all the rest of my clients because I had the understanding of where to go look for that information for the first time ever. Jordan: How do you keep the momentum going after something like that? Moving forward, we put everything through a filter of does it line up with this client’s needs, with their brand language, with their client expectation? It does change, but when you get that many people that like your page because of one post, obviously you have to look at that post and break it down and be like okay, was it the fact that the girl was in a sweater sitting out looking at the beach longingly over the ocean or was it the fact that she had red hair? Or was it the fact that she was young? Or was it the fact of the language really hit with people? Or was it the post? Was it the emojis? Was it the combination of all of these things? I think for us, we arrived at the answer of it was a combination of a bunch of different things that really played well with our audience. We were actually able to take a measuring stick and say, “This is what viral looks like for this client.” Does this measure up? Does this type of content measure up? And if didn’t, then it doesn’t go on the schedule. Jordan: Alright, I’m going to go out on a limb here and make a prediction that we’re about to see thousands of people who listen to this podcast posting images with people with red hair just to try it out. I’m going to do it immediately. Brittany: I’m totally going to do it. That’s the thing about social media that I love, and marketing that I love, is like everybody feels like it’s a competition but it’s not. There’s room for everybody. I think that that’s the thing that I want to change on the landscape is like we don’t have to hold our secrets to our vest really closely because there’s room for everybody at the table, there is space for everyone. For me, I like to spill my secrets. I like to see other people say, “Hey, I listened to what she said and I did it and it was amazing.” Then I know, okay, that secret was legit, everybody, do it again. It makes a huge difference. If I see a red headed person post, I will definitely like it. Jordan: Hey, are you enjoying the actionable marketing podcast? If you are and if you’re learning some valuable insights that help you grow as a marketer, I’d love to invite you to leave a review for us on iTunes, it helps us a ton, and it helps us help even more marketers sharpen their skills. Plus, if you’ll take just a minute to leave a rating and a review, we’d like to say thanks with a CoSchedule care package. Just take a screenshot of your review and send it to podcast at coschedule.com along with your mailing address and we’ll send some sweet swag to say thank you. Alright, back to Brittany. Can you tell me more about the filter? I think that’s a really important thing. Obviously, you have figured out what resonates with the audience, you’ve really gotten to know them and I think that is absolutely key. I love that image of, hey, if it’s not working, you’re shouting at an empty rooms so figure out what room you need to go to. But what does that filter look like, not even specifically for that client but just the nuts and bolts of how you decide what makes the cut. Brittany: Absolutely. I think if somebody is looking to build their own filter, they build their own audience language and everything. The first thing that I usually start with is I go in and I actually look at the breakdown of is my audience mainly male or female? That seems really basic but a lot of people skip that step. They just assume in their minds, oh I’m talking to mostly females or oh, I’m talking to mostly males, because that’s who they want to talk to. For us, we assumed that our audience was mostly male and then we went in and realized after we posted that quote, “Oh, no. Our audience is mostly females. That’s exciting.” We had to shift our brand strategy there because thinking about the fact that our audience was mostly female, that worked out for us really well because women do a lot of the buying online. You have to keep that in mind. You also have to keep in mind the age ranges. They can be really drastic on Facebook and they can be really drastic on some of your social media networks. Remembering that not every single network is the exact same, something that works on Facebook is probably not going to work on Instagram because you’re talking to a different audience, you’re talking to people who use Instagram are generally between indifferent age range, it’s different for everybody. And then we have those industry standard. Instagram is those 25-30 year olds right now. Your brand is going to be different. Everyone’s brand is going to be different. Looking at your analytics is number one. The other thing is we really dove into Google Analytics and we saw what content was popular on our website, what was getting really good search results, what was getting really good traffic from Google organically. We started to post about those things instead of just posting quote images. We tried to mix in a really good mix of helpful content for the audience. I think the other thing is just being honest. A lot of people, they put on a voice and they try and be something that they’re not or be something that their brand is not. It’s okay for you to just be yourself. There has been a rise of people learning how to be themselves just personally. I think that brands need to learn the same thing. We’re going through the same learning curve. It’s okay for you to be yourself because by being yourself and identifying with the correct audience, your ROI is going to go up, your engagement is going to go up naturally because people want to talk to you. They care about what you have to say because you’re saying it in a way that speaks to them personally. And then the last thing I would say is just make sure that anything that you put out, that it has a little bit of a tug on those heartstrings or it’s about the feelings. You have to actually create a feeling for people. That was something that, from the beginning, when marketing for Vacation Rental Managers, I was like, “Okay. We’re not having them book vacations.” Yeah, that’s the by-product of it. We’re actually creating an experience for them that they are going to live. If I was wanting to live this experience, how would I want somebody to talk to me? What would I want them to say to me? When you start from that perspective, when you put yourself in the shoes of your perfect client, you build your brand avatar and you put yourself in those shoes, it changes the way you pick things, it changes what you put out on social media, it changes how you blog, it changes your headline structures, it changes everything. Jordan: I absolutely love that. That is so helpful. Those three parts are really big takeaways for everyone. I always love to finish out with the sage wisdom, put on your Yoda hat. Just bring your wisdom to the table, and what’s your best advice on people figuring out the emotional resonance with their audience? Brittany: My best advice is that you need to know your brand better than anyone else. Number one, if you don’t have a brand kit that you are working from, stop right now and develop that brand kit whether it be for a client or for yourself, you need a brand kit, you need your colors, you need your fonts to be consistent, you need your language to be consistent, you need to figure out what kind of quipping words. Are you a little bit sassy with your language? Are you a little bit more professional? Are you clean cut? Who is your perfect target client? Don’t settle for anybody less than your perfect target customer, don’t settle for anything less. I think people sometimes they try in an effort to sell more and gain more volume and get more sales and all that. I get it, it’s about bottom lines, it’s about dollars, wouldn’t be here if it wasn’t. But honestly, the dollars come when you resonate with your customer so much that they can’t imagine living life without whatever you’re offering, whether it be a service or a product, or whether it be your fantastic, amazing, wonderful quote graphics that they actually look forward to and wait for everything that you do. I think CoSchedule is an amazing example of that. I can’t wait to see my email in my inbox that says, “Oh, you got an email from Nathan at CoSchedule with a blogpost.” I’m like “Yes! I love this! My favorite time of the day.” Honestly, wanting to communicate with your brand and with your customer on a branded level is the most important thing that you ever do for your company or for your client. If you’re not doing that, if you skip that step, if you’re like me and you like to just fast forward to the end and get the results and just get things rolling, don’t allow deadlines to dictate how well of a job you do because you are actually working on deadlines and not working on a strategy. I think that’s the difference is we have to determine, are you a deadline marketer or are you a strategy marketer. If you’re not a strategy marketer and you’re a deadline marketer right now, you need to make that shift, you need to make that switch, it takes time, it takes patience, be patient with yourself and be patient with your client, they’ll learn, or make that shift over to strategy marketing and that’s when you become viral. It’s when you actually learn to market by strategy and not by deadline. Jordan: Brittany, what a great conversation this was. It’s really cool to hear from someone who has built a team around this stuff, who’s done it, who comes from the trenches and is able to admit hey this didn’t work but this is what we found really did work by experience. I absolutely love hearing from people like you. Thank you so much for taking the time, sharing your wisdom with us, and for being on the show today. Brittany: Absolutely. Thank you so much for having me. It was a pleasure to be on with you, Jordan.